Seth Meyers is stepping away from his "Saturday Night Live" gig for a temporary weekday job. The comedian will host the 2010 ESPYs, Access Hollywood can exclusively reveal. The "Weekend Update" anchor and "SNL" head writer will be joined by an all-star lineup of athletes and entertainers to celebrate the annual sports awards show on ESPN on Wednesday, July 14 in Los Angeles. "If you asked anyone I played sports with as a kid they would tell you 'the only way Seth was making it to the ESPYs was as a host or presenter,'" Meyers joked. It will mark the first time the ESPYs have been televised live since the 2003 show, which was hosted by Jamie Foxx. "In the 'anything can happen' atmosphere that comes with doing a live program, there is no better host for the 2010 ESPYs then Seth Meyers," said Maura Mandt, executive producer for the awards show. "Not only is he one of the most brilliant comedians, his enthusiasm for sports is sure to create some of the most memorable moments in ESPYs history." New to the show this year, fans will be able to vote on an ESPYs category during the show, and see the results of their vote live on the stage. Meyers – who was a presenter during the 2009 ESPYs – joins a long list of celeb ESPY hosts including Samuel L. Jackson, Jimmy Kimmel, Matthew Perry, Jimmy Smits and the show's original host in 1993 and 1994 Dennis Miller. 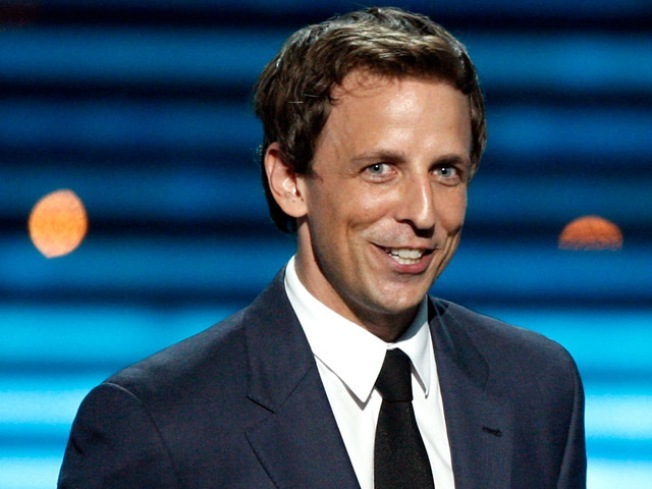 PLAY IT NOW: 2009 Emmys Red Carpet: Does Seth Meyers Want To Pull A Kanye West At The Emmys?